Showalter is as methodical when it comes to managerial minds. He probably knows every single salary structure for all of the clubs within his own division – and quite possibly all of baseball. The former Yankees skipper is smart to fear the ramifications of team salary relief for the Bronx Bombers – that the A – Rod impending suspension will free up. The good news is the Yankees still wont go financially haywire in 2014 – because of their wish to reset their Luxury Tax Penalties. For this reason alone, this is a once in a decade opportunity to level the playing field. Lets take a peek on why they should make 2014 a priority. 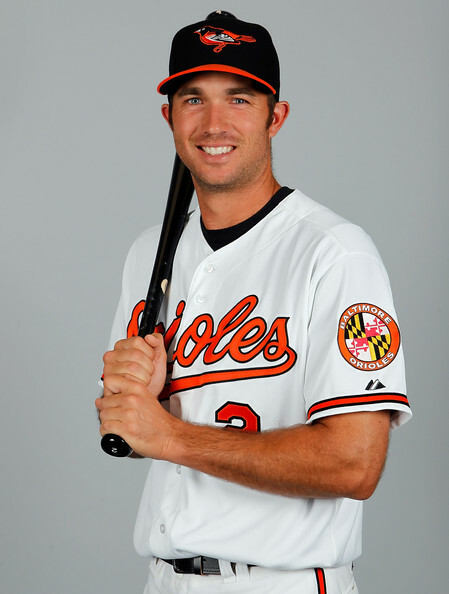 J.J. Hardy has 2014 left on his deal – and is a Free Agent in 2015. A lot of experts would tell you that the reason the O’s are so strong is because of their defense up the middle. Hardy is one of the best offensive Shortstops in the game – and is a Gold Glove recipient from 2012. The O’s have some decisions to make past next year on who to keep. 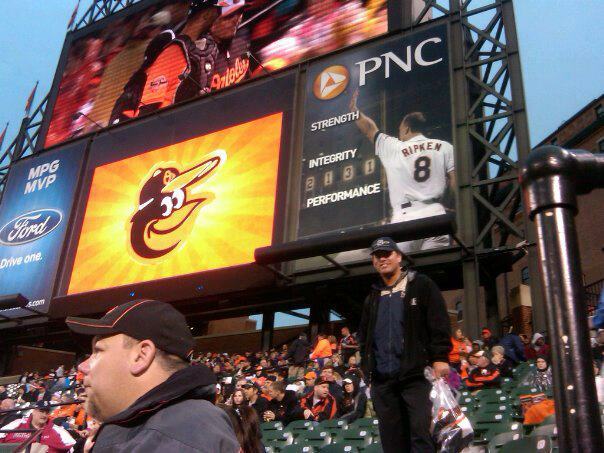 Matt Wieters His price tag starts going up in 2014. While he has not blossomed into a powerhouse yet, his numbers are above average for HRs and RBI among backstoppers. Adam Jones long – term contract will become more expensive as the years roll on. Brian Roberts salary does come off the books, however what are they going to do for replacing him at DH or 2B? The team could offer Roberts a back up role for a reduced rate. Nate McLouth is on a one year deal. A need for a OF next year is another hole for the team. They could possibly sign McLouth to another 1 year contract, or maybe they would pursue a Nelson Cruz or Curtis Granderson, however they need pitching more than defense. 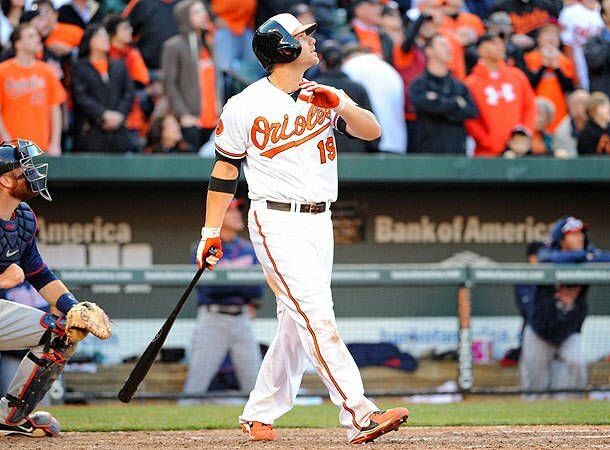 Then there is Chris Davis. The slugger is having a season for the ages, and might put up the best Left Handed Power Season in the AL since Ken Griffey JR. crushed 56 HRs in 1997 and 1998. He is Arbitration Eligible, and $ signs must be dancing around he and his agent’s head. He will garner a fantastic raise. The biggest reason why the club should push all of its chips into the middle is the Yankees. The Bronx Bombers will be taking a seat back from its usual $200 MIL team salary, to push under the $189 MIL threshold next year to reset its penalty. Even with A-Rod’s money coming off, the franchise will likely allocate that cash to re-sign Robinson Cano on an annual basis. Who knows about Derek Jeter, and Curtis Granderson is quite possibly gone, with the team already having Ichiro Suzuki, Vernon Wells, Alfonso Soriano and Brett Gardner coming back (1 more season left of Arbitration Eligibility). The Yankees can possibly add a few Starting Pitchers and a Starting Catcher to the fold such as: Brian McCann or A.J. Pierzynski. This is where the time to strike is 2014. Once that threshold is reset, look for the Yankees to enter the $230 MIL stratosphere yet again, by signing some big Free Agents for the 2015 season. The Yankees will be out of hibernation and have money to burn. The Red Sox will follow suit and near the Luxury Tax Threshold. Luckily for Baltimore, Toronto fell flat off its feet in 2013 – effectively ruining year 1 of their 2 or 3 year competing window. The Jays have already mortgaged the distant future, and should continue the trend like Baltimore in 2014 and 2015 – and go for it all. This time, the Canadian team might get it right. Really, their offense was decent this year, as was their bullpen early on. What let them down mostly was their Starting Pitching. With a couple of signing or trades, and some of their deckhands returning from injury, the club could see a great 2014. The Tampa Bay Rays best year to take another swing at a title is this year in 2013. I also have hammered this topic at nausea, but I feel the club wasted time in ‘promoting’ Chris Archer and Wil Myers this year. At present time, they still trail the Red Sox in the AL East, and who knows what could have transpired with a fuller roster earlier in the season. David Price was awarded a 1 YR/$10.11 MIL prior to 2013 in Arbitration – and will receive a great raise again in this offseason. You also saw Tampa be the benefactors of spade work by James Loney (1 YR Deal/$2 MIL), and several other of their players will earn more money in 2014. With a hard $60 – 65 MIL Budget, the club can’t afford to pay Price (no pun intended) and then fork out additionally money needed to round out the holes created after this season’s end. They are not going to be as strong in 2014. Look for them to possibly trade David Price in the winter for a package of 2 – 3 players. The Rays may be at a bit of a disadvantage in next year’s campaign, another reason for the Orioles to take advantage. The next few years of Wil Myers, Chris Archer, Alex Cobb and Jake Odorizzi, should only be better as time goes on, but maybe they will not all turn the corner next season. The Angels are in salary hell – with brutal contracts to Hamilton and Pujols, in contrast the Mariners are probably going to be a force by 2015 with their young core of talent. Kansas City has a chance to win in 2014, and you have to see them as Wild Card foes next year. Cleveland will always be around for the next few years. 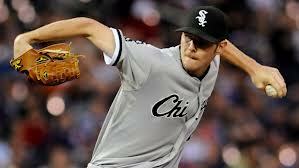 Chicago White Sox may also be strong again by 2015, plus the Minnesota Twins have one of the best Minor League Systems. Markakis contract could potentially end after 2014, with a $17.5 MIL Option. 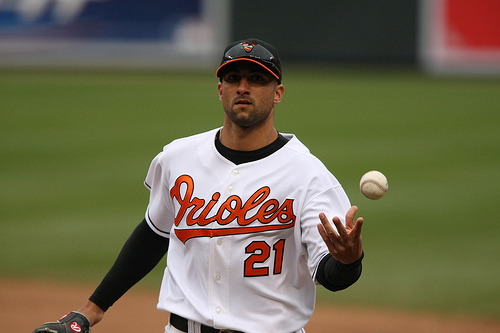 The O’s could decline it…or… the team could exercise it, yet Markakis has a right to refuse the option and choose FA. Oakland does not lose any major pieces after 2013, and will be in the hunt for the division or a playoff spot. Texas has replenished their MLB talent with a lot of youngsters, and should be around sniffing near the Post Season again next year. The Tigers will be the favorite in the AL Central for the foreseeable future. The Orioles need to step up for an ace and a DH next year. Dunn’s renaissance in the last few months of the 2013 year, has to be a draw some looks for teams in 2014. The Orioles DH by committee has been abysmal this campaign. The big Left Handed Slugger would be ideal to hit in a lineup with Machado, Markakis, Jones and Wieters. He could give you that DH needed to be a difference maker. He does make $15 MIL in 2014, which is perfect for your cause. 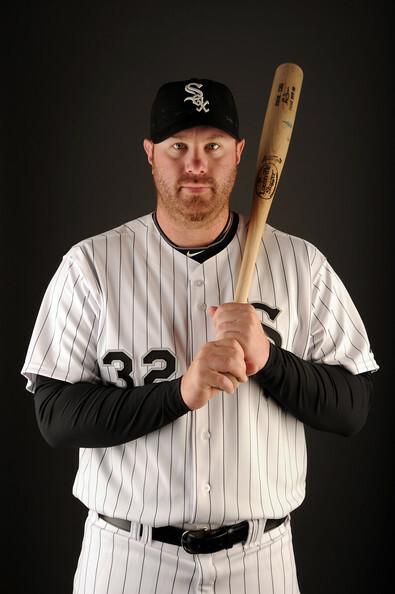 For a 1 year stab, why not inquire about Adam Dunn (30+ HR, 100 RBI potential – and could DH). 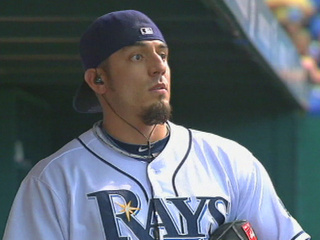 Matt Garza, seen here with the Rays, should be the #1 priority for the O’s going into 2014. They have Chen, Tillman, Gausman, Hunter and Norris under team control for 2014, however they lack a proven #1 starter. They should trade for one and also sign Garza – to be their #2. I would go for Matt Garza: (Proven AL East and playoff pedigree.) At times, he has demonstrated ace like stuff – and seen a full run in the Playoffs before. Organize a trade for Chris Sale. Dylan Bundy or Kevin Gausman. Alexei Ramirez could be thrown if for Second base duties. If you were the Orioles, would you dangle Kevin Gausman in a package for Chris Sale? It makes sense for competing to the fullest in 2014. I would also try and pick up Alexei Ramirez back to play Shortstop or 2nd base for some of the departing Veterans. Maybe Josh Johnson on a one year deal for Depth.If right, he could be a #1 Starter. It would have to be incentive laden deal. Whatever the case, gets your licks on the Bronx Bombers while you can, because they won’t be down for long. Another good depth move would be to sign Mike Morse, who can play 1B/play OF or DH. For all of these reasons aforementioned, I believe Baltimore would be wise to risk it all in 2014, and hope they can make some noise throughout the rest of this year. 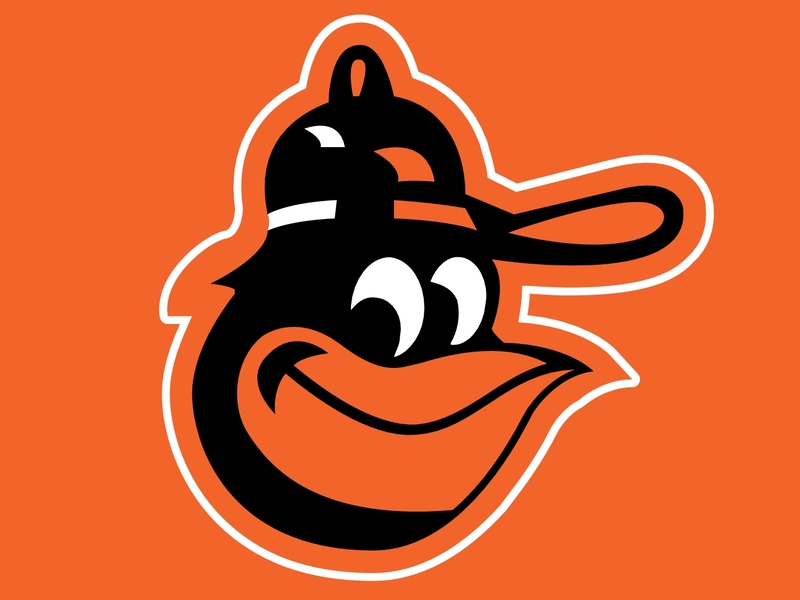 The Orioles have done a great job in building the current team, however playing in the same division as the New York Yankees and Boston Red Sox, you must know when to take your shot at being the best in the Division. The team has many team controllable players, but they all start to earn more money as the years go on. The franchise must consider trading away some of its future – in order to secure a #1 Pitcher. They should be willing to trade their prize young talent in order to do so. You only need to look at the Matt Harvey situation to know, that banking on youth doesn’t always work because of injury. Signing or trading for a Veteran doesn’t guarantee anything either, but taking a run on a year that they have an advantage on the Yankees makes total sense. Posted on August 27, 2013, in MLB Teams: Articles and Analysis, The Rest: Everything Baseball and tagged @MLBreports on twitter, a.j. pierzynski, adam dunn, adam jones, al central, AL East, AL West, albert pujols, alex cobb, alexei ramirez, alfonso soriano, American league, baltimore orioles, brett gardner, Brian McCann, brian roberts, buck showalter, bud norris, Camden Yards, chris archer, chris davis, chris tillman, Chuck Booth. fastest 30 ballgames, curtis granderson, david price, derek jeter, detroit tigers, dylan bundy, houston astros, ichiro suzuki, jake odorizzi, james loney, JJ Hardy, josh hamilton, josh johnson, kansas city royals, ken griffey jr, kevin gausman, la angels, matt harvey, matt wieters, Mike Morse, nate mclouth, nelson cruz, nick markakis, seattle, seattle mariners, tampa bay rays, toronto blue jays, vernon wells, wei-yin chen, wil myers. Bookmark the permalink. 1 Comment.